Vintage style ring settings are ideal for couples looking for a ring that’s a little bit out of the ordinary and unique. Opting for a vintage style ring setting for an engagement ring would be an excellent way to show off your personal style and taste. 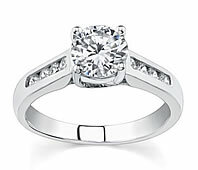 Many vintage engagement rings reflect those ageless and classic designs that survive decades of trends and fads. 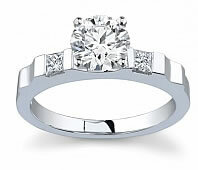 There are several common styles of vintage engagement rings, though they are varied just like modern ring settings. Victorian: Jewelry designs during the Victorian time period varied widely. Most Victorian engagement rings were made out of rose gold or yellow gold. Since mining diamonds were very scarce during this era, these engagement rings often had other precious gemstones surrounded by smaller diamonds. 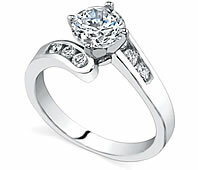 Edwardian: If you are looking for an Edwardian engagement ring, the metal must be platinum. 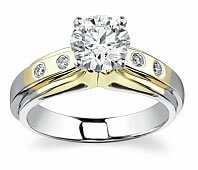 However, white gold is a great substitution and far less expensive. The settings were often intricate and highly detailed. The diamonds placed in the Edwardian settings were usually rose cut diamonds. Art Deco: During this time period, ring settings became simpler compared to the previous era of fancy filigree and intricate lace patterns. Asscher, emerald and marquise cut diamonds were most popular for Art Deco engagement rings.